Prime Minister Binali Yildirim made his comments to a group of Turkish journalists who quoted him as saying that US Vice President Joe Biden would visit Turkey on August 24. “The main element improving our relations with the US is the extradition of Gulen, where there is no room for negotiation,” Yildirim was quoted as saying by CNN Turk’s general manager who was among journalists attending the briefing from Yildirim. “Whether or not the anti-Americanism in Turkey will continue is also dependant on this,” Yildirim said. Since the failed coup, almost 5,000 out of 81,000 people had been sacked and the others suspended, Yildirim said. 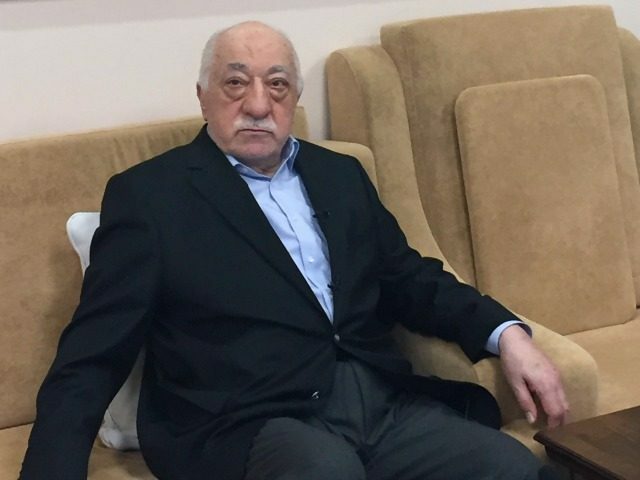 Turkey almost immediately increased pressure for the extradition from the United States of Gulen, a former ally of Erdogan who runs an influential network of international schools outside Turkey. Yildirim on Saturday said that the United States had improved its attitude on the issue of Gulen’s extradition, but he did not elaborate on this. Maintaining Ankara’s criticism of the Muslim cleric who denies any involvement in the putsch, Yildirim said on Saturday that Gulen ran an exclusive communication channel with 50,000 using it. Earlier on Saturday Turkey took exception to remarks by a top UN human rights official for saying that Ankara should stem its “thirst for revenge” against internal critics following the coup.